The Creative Process-100 Writers–Interviews and Portraits of the World's Leading Authors. 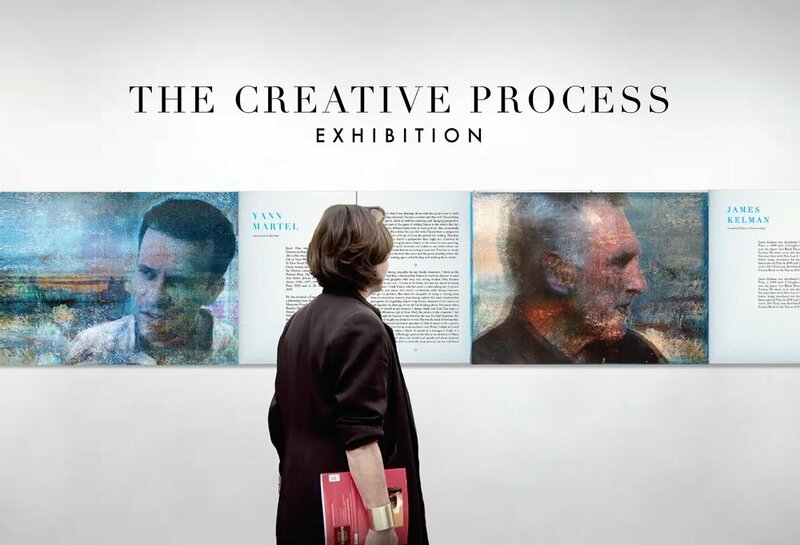 The Creative Process traveling exhibition consists of interviews with over 100 esteemed writers, including Joyce Carol Oates, Hilary Mantel, Neil Gaiman, Tobias Wolff, Richard Ford, Junot Díaz, Viet Thanh Nguyen, Marie Darrieussecq, Michel Faber, T.C. Boyle, Jay McInerney, George Saunders, Geoff Dyer, Dave Eggers, Etgar Keret, Douglas Kennedy, Sam Lipsyte, and Yiyun Li, among others. What does a university’s “participation” entail? When is The Creative Process exhibition? What is the earliest/latest possible exhibition date? Our inaugural exhibition took place at the Sorbonne (Panthéon 1) in March 2016. We are now expanding the scope of the 100+ interviews to include conversations with creative thinkers from a variety of disciplines and are participating in a number of educational initiatives. Universities will receive their Creative Process hand-embellished edition from 2018 onwards and can exhibit it anytime thereafter. Are there any supporting events planned around the exhibition? The Creative Process is happy to work with participating universities to arrange events to encourage public as well as student engagement. This may mean hosting the exhibition to coincide with annual literary festivals or centennial celebrations, as some universities are doing, or organizing other readings and performances. Please see Supporting Events. In addition to the traveling exhibition, interviews will also be published online through a network of collaborating university and national literary magazines. For further information, please contact us. What other ways can a university participate? The Creative Writing and Literature departments are invited to participate in interviews or contribute text for the forward of their own unique edition. We are also arranging interviews with creative thinkers from a variety of disciplines for our In Conversation section. Your university or literary magazine can also participate in our Interlinking Online Exhibition. See section below. We also have a number of ongoing educational initiatives which your university might like to get involved in. 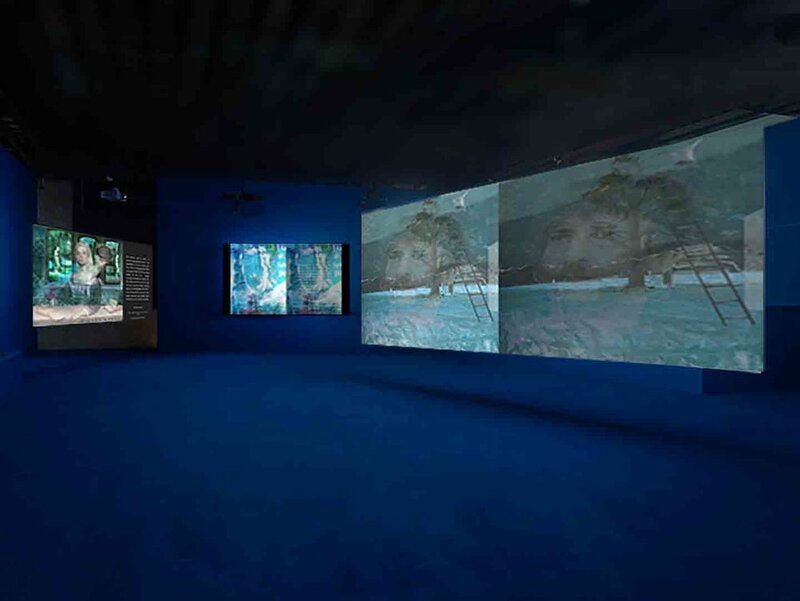 They include curriculum integration and short film workshops that give student filmmakers the opportunity to interpret short stories by leading writers and show this work as part of the projection elements at exhibitions. Some universities are implementing special 4th year courses in collaboration with The Creative Process. For more information on these initiatives, please email mia@creativeprocess.info. How can a university best facilitate the project? By suggesting staff and writers who would be happy to be interviewed? We are happy to receive suggestions, as we are presently completing our core list of 100 writers to be interviewed. We are also delighted to receive your suggestions of important creative thinkers and authors from your faculty and region. As well as our core 100 interviews, we are conducting a number of additional interviews so that every exhibition is a unique representation of the creative contributions of each university and their region. Do you have any specific criteria for authors? What's important is that they are open to discussing their work, the humanities, and the issues which touch us today. Essentially, we are interested in established authors who have unique insights and are willing to share their story. Most of the authors interviewed have won literary prizes and/or their works are in translation, so that when the exhibition travels to other countries audiences abroad may be familiar with their work. However, we welcome all suggestions. In addition to the 100 illustrated interviews with writers, we’re conducting a number of non-illustrated interviews for the introduction, supporting events and online exhibition. 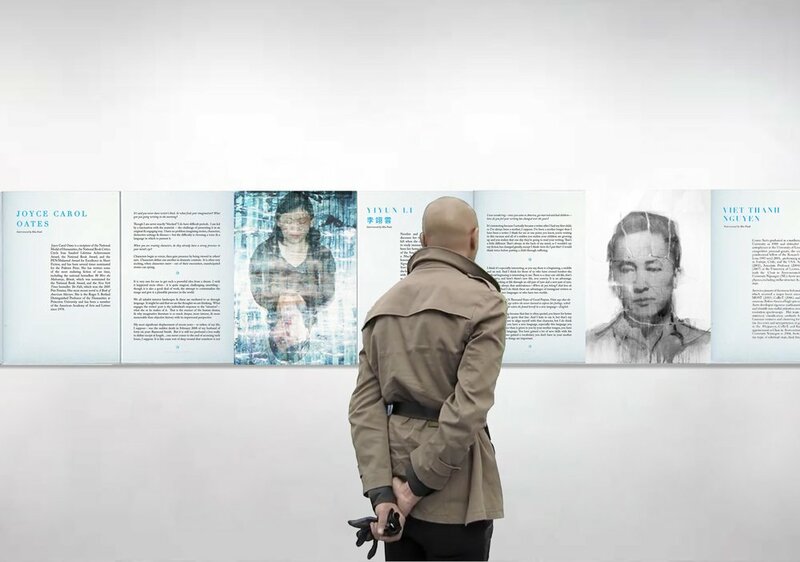 Ancillary interviews will be prominently featured in exhibitions, either as part of the projection elements or as part of the core 100 interviews at some universities. N.B. 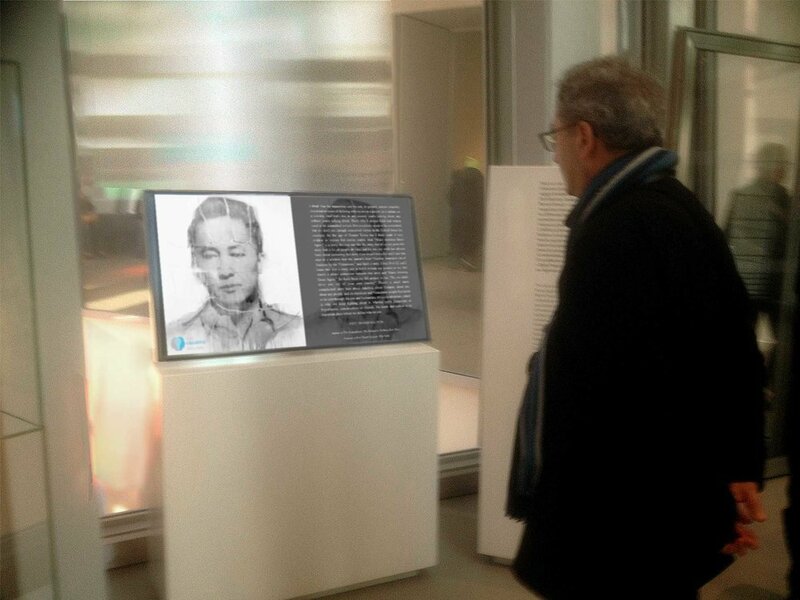 As the exhibition travels, the core 100 interviews changes a little for universities in each country, e.g., exhibitions at University of Milan or University of Warsaw will include more Italian or Polish writers. *We are honored to have the participation of invited universities in the physical exhibition, so there will be no cost to your university for receiving the unique, hand-embellished folio edition. In order to continue our editorial activities, participate in supporting events, and widen our educational reach, however, The Creative Process depends on the support of grants. If you would like to help support our non-profit educational initiative or are aware of any grants or philanthropic foundations which might expedite this process, we welcome donations which will help us bring the physical exhibition to your university in a timely manner. This ensures the quality of the unique artworks and edition gifted to your university, as well as facilitates the possible creation of larger scale artworks for your exhibition and university art collection. In addition to The Creative Process traveling exhibition, the interviews will also be published online through a network of collaborating university and national literary magazines. Since interviews run to several thousand words, they will be published in interlinking excerpts published in several literary magazines simultaneously. In that way, readers may begin an interview in one online literary magazine and, to continue reading, follow the link to another magazine produced by a university in another part of the world (see Figure below). Example: Interview with Hilary Mantel published across the network: The Creative Process > TinHouse > Nassau Literary Review (Princeton) > The Iowa Review. The aim of the online exhibition is to expand the conversation and facilitate exchanges between universities, writers, students, faculty and visiting professors. Between 1,000 and 2,000 words. Longer excerpts are available upon request. Many of the leading universities participating in our physical exhibition are also taking part in the interlinking online exhibition, as well as a number of national literary magazines like Tin House, LA Review of Books, New American Writing, among others. The American Writers Museum is also excerpting our interviews. Between 5,000 and 15,000 words. We find this allows writers to touch upon their body of work, life, and creative process. This length also facilitates the sharing of interviews across a network of magazines. Everything we publish is free to universities. We only ask that you help us spread the word of publishing and volunteering opportunities. While we are very happy to share interviews with your publication, after the first three we send you, precedence is given to those which assist in the podcasts or editing process. This ensures that the full breadth of the interviews is retained within the archives of participating universities. Your assistance also helps us deliver more interviews, allowing us to expand our educational initiatives and increase engagement at your university. How many excerpts will we receive for assisting in editing one interview? For every interview your publication helps edit, we will send you a selection* of excerpts of interviews from The Creative Process which you can publish online and in your print publication. We rely on our community of publishing partners. If more publications participate in this process, we will be able to provide more excerpts for every one interview edited. We very much appreciate your participation as this helps us keep the process forward. * Depending on the length of the interviews, your publication will receive 3+ interview excerpts for every interview you help edit. What kind of interviews are available to publish? We have a steady stream of over 100 interviews from notable writers to creative thinkers in the humanities and STEM fields. Each interview includes important insights about creativity and the importance of the humanities. Currently, there is a concentration of anglophone writers. However, The Creative Process is an ongoing educational initiative with the participation of many leading universities, so we have scheduled interviews with a number of international writers and creative thinkers in disciplines like filmmaking, linguistics, visual art, cognitive science, etc., which in the future we would be more than happy to share with you and/or your university's general interest publications. Can our publication select the interviews you share with us for publishing? Volunteers who assist in the editing process receive a commemorative artwork by the artist Mia Funk. This is a signed, hand-embellished work on paper. 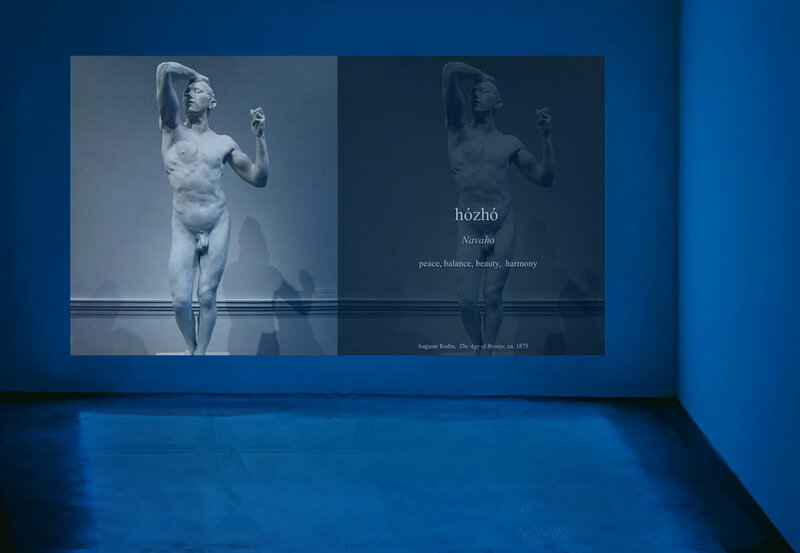 They are also credited in the physical and interlinking online exhibition. We are always happy to receive suggestions of writers, artists, and creative thinkers. As well as our core 100 interviews, we are conducting a number of ancillary interviews so that every exhibition is a unique representation of the creative contributions of each university and their region. Students and faculty may also participate in interviews, supporting events, or curriculum integration. We have a number of ongoing educational initiatives, including workshops and special 4th-year courses focusing on making short films/animations based on stories by participating writers. You can also submit related essays, stories, poems, creative works, and cross-genre pieces. We are interested in celebrating creativity in all its forms. If you would like to suggest works previously published by your journal, we would be delighted to feature them along with the usual acknowledgments. These will be published online and may be shown as part of the projection elements of The Creative Process. Together we can work out the perfect solution to create an ideal exhibition for your space. The physical exhibition is completely modular and adaptable to any exhibition space. 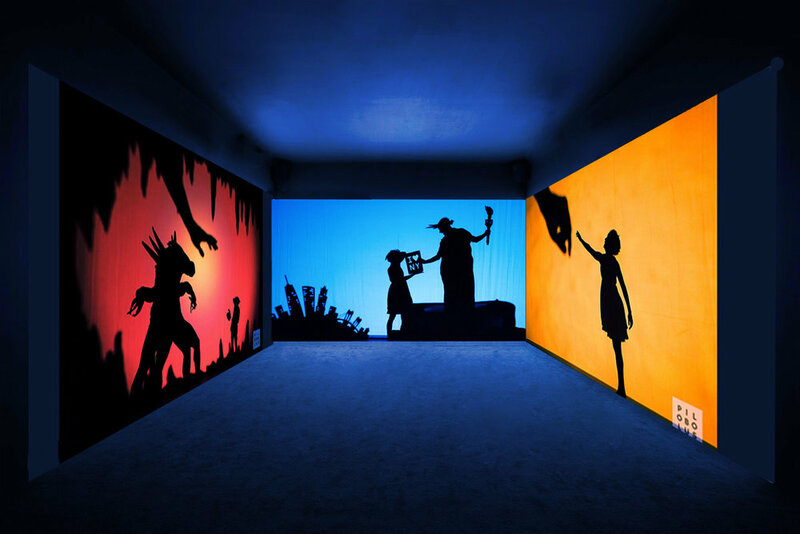 Projection/Screen Elements are also adaptable and, depending on your space, can be projected onto a wall or shown on a smaller screen(s). In addition to illustrated interviews, The Creative Process' projection elements include stories, essays, poems, short films, dance, and creative works by contributors from over 50 countries. 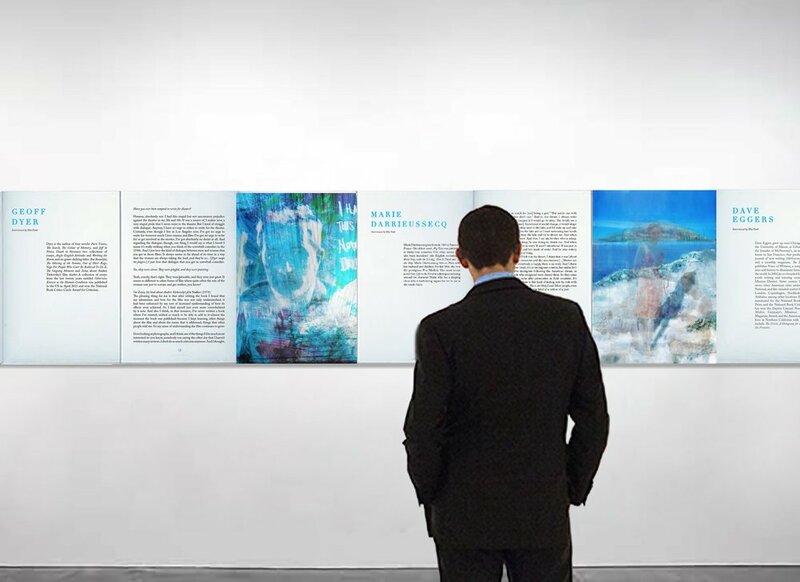 Each exhibition includes unique content celebrating the creative contributions of the university and region. 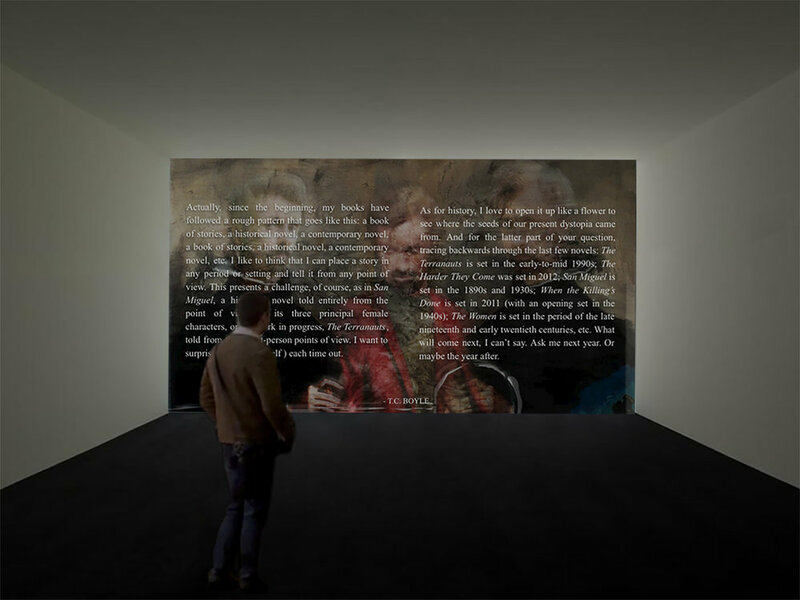 Projection elements below includes exhibition content for recent shows at University of Leuven for the European Conference for the Humanities and University of Salamanca's 800th Anniversary. Since The Creative Process exhibition is in the form of a hand-embellished, loose-leaf folio book, it is modular and expands or contracts to suit any space. Since the pages are loose-leaf, sections can be removed and mounted or displayed separately, making it possible to show one part in the library and another in the Literature/Art Department, Gallery Space or Culture Center. Display on a table(s) probably being the easiest form of exhibition, as the pages can be rotated to display different authors over the course of the exhibition. For wall exhibition, easy-to-mount fixations and reusable presentation templates are provided. 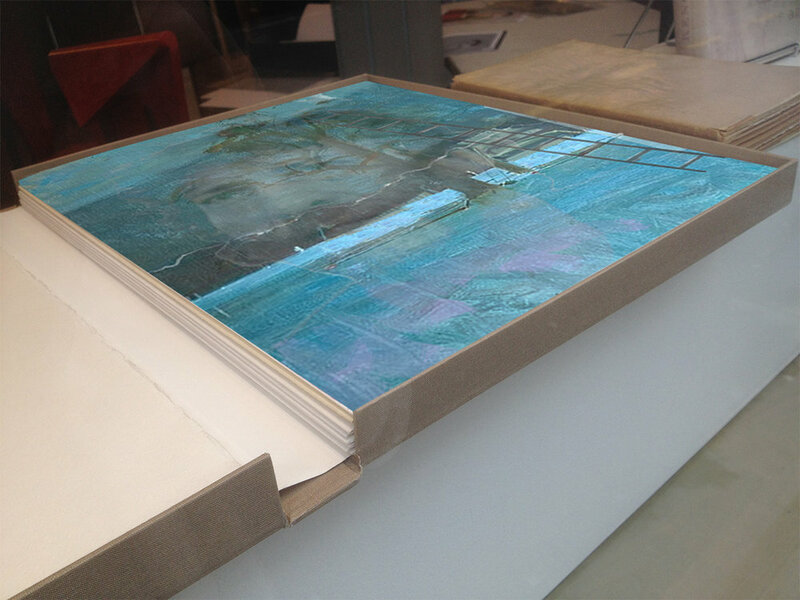 The pages are lightweight and therefore can be mounted in any suitable space. 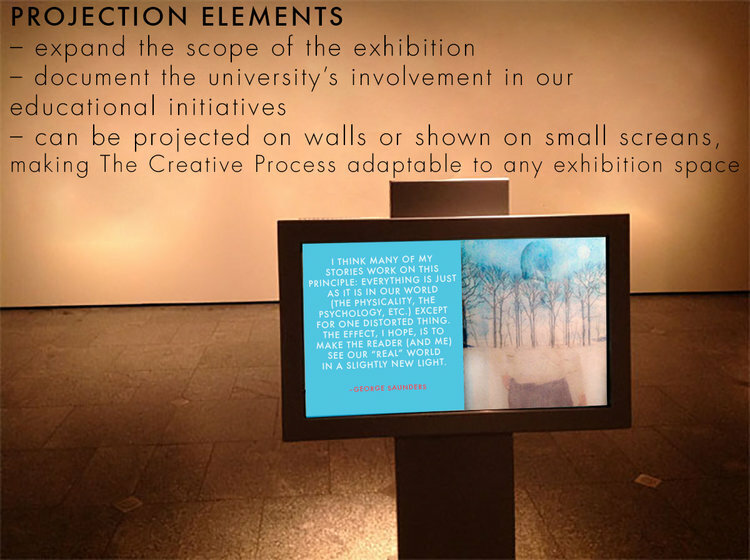 We also provide slideshow of projection elements, which expand the scope of the exhibition, document various educational initiatives, and make The Creative Process adaptable to any exhibition space available at your university. Formal exhibition space at my university is booked a year or two in advance. Can we still participate? Yes. It takes a while to complete interviews with your faculty so there is no rush. We are delighted with your participation and the opportunity to exhibit The Creative Process in your university's library or any space you deem suitable. 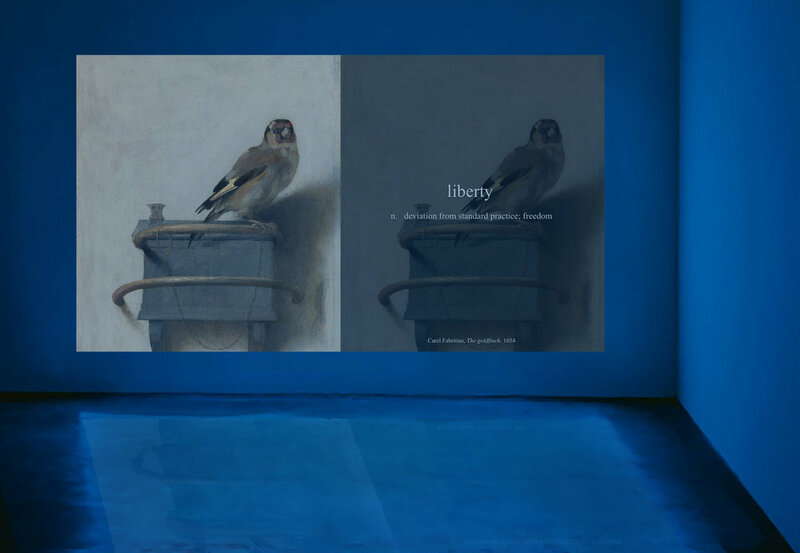 Down the line, as dedicated exhibition space in your university's gallery or culture center becomes available, then the expanded content and projection elements may be shown. Participation is entirely flexible to your schedule and exhibition space. The Creative Process is happy to work with participating universities to arrange events to encourage public as well as student engagement. Some universities have elected to have a local featured author attend a launch, while others are organizing talks and conversations around the theme. Readings performed by faculty and students of featured authors’ work are another way universities can participate in turning the exhibition into an event which can be enjoyed by all. The Creative Process traveling exhibition will take place within a five year period and will be held in leading universities around the world. The list of participating universities and institutions is presently being completed. If you’d like to take part in this celebration of the humanities, please contact us. If you are a writer and would like to participate in The Creative Process, contact mia@creativeprocess.info. This allows for greater flexibility of display options, longer excerpts and unique interviews with writers from your region to be exhibited. Pages are easy to mount on walls (frameless "gallery style"presentation using tiny magnetized discs). Selected pages may be shown on accordion structures provided by The Creative Process.